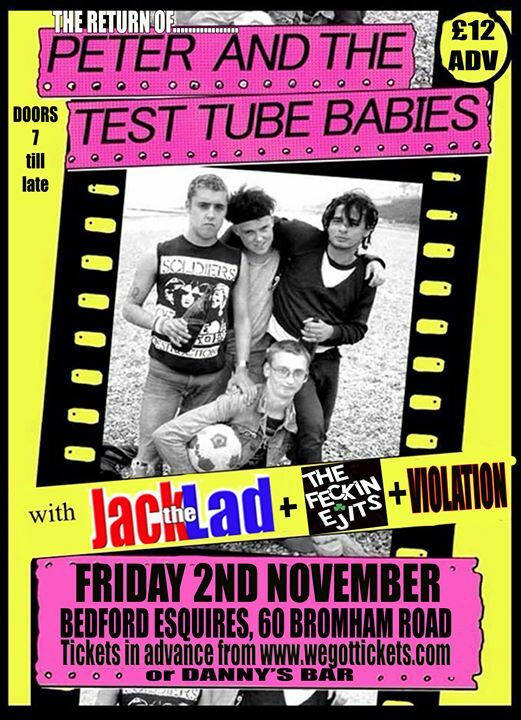 Peter & his Test tube babies RETURN to Esquires for another night of classic entertainment!! !… plus supoort from Jack The lad, local legends Aidans’ Feckin Ejits & Paul Beesons’ ‘Violation’… What more do you want.. 4 great bands. Advance tickets £12 from http://www.wegottickets.com or in person from Danny’s Bar.